T-Mobile and Google have apparently hugged it out, as YouTube and Google Play Movies are now part of Binge On. The service, which ran into some controversy after it was revealed that T-Mobile was throttling all video, gives subscribers the ability to stream from participants without eating into their monthly data allotment. CEO John Legere took to Twitter to announce that Google’s video services will join several other new entrants after changes to how companies and customers participate. It took some negotiation to get here, as YouTube objected to how Binge On throttled video, even from companies who weren’t a part of the service. In response, T-Mobile has changed up how Binge On works. Companies that don’t want to have all their video downgraded and meet T-Mobile requirements are able to opt out completely. T-Mobile customers also have a less onerous method to disable Binge On, which Google detailed on the its public policy blog. “And for those who want to turn it off, they’ve made it easier to do so - rather than having to click through a series of menu items, users can now turn the setting off with an SMS short code and with two clicks from the T-Mobile app and one click from the my.tmobile.com site,” YouTube product management director Christian Kleinerman said in a blog post. Along with YouTube and Google Play Movies, Baeble Music, Discovery Go, ESNE, FilmOn.TV, Fox Business, Klowd TV, and Red Bull TV are now partners. 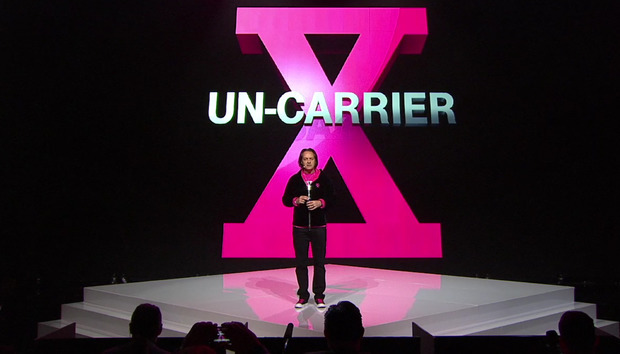 The impact on you: If you’re a T-Mobile subscriber with Binge On, this is very good news as you can now stream from the world’s most popular video site without eating into your data. And the push back from Google brings some much-needed clarity to how Binge On actually works. Legere played too many word games in the beginning, and now customers and companies have far more choice over how to participate.